I was little when Diana Spencer married Prince Charles, live on television. It was a record-breaking event, watched worldwide. Now Prince William is getting married, and there’s another beautiful princess-to-be walking down the aisle. Will it enlist the same magic in 2011, and why would a suburban American mom get so excited over a royal wedding a world away? 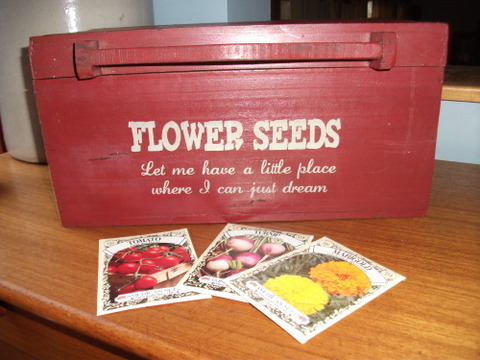 Recently, I sat down with my box of seeds, and started dreamin’. It’s still chilly, but with seed packets poppin’ up in stores and catalogs brightening my mailbox, the promise of warmer weather beckons the gardener in me. More “suburbanites” are putting in backyard gardens. Perhaps it’s the economy, or perhaps folks want to slow down, take a break from technology, and grab the joy digging in the earth brings. Putting in a garden can get costly, but mine was done on a shoestring budget! I call it my “Repurposed Garden”.